Why Did My Car Speakers Stop Working? 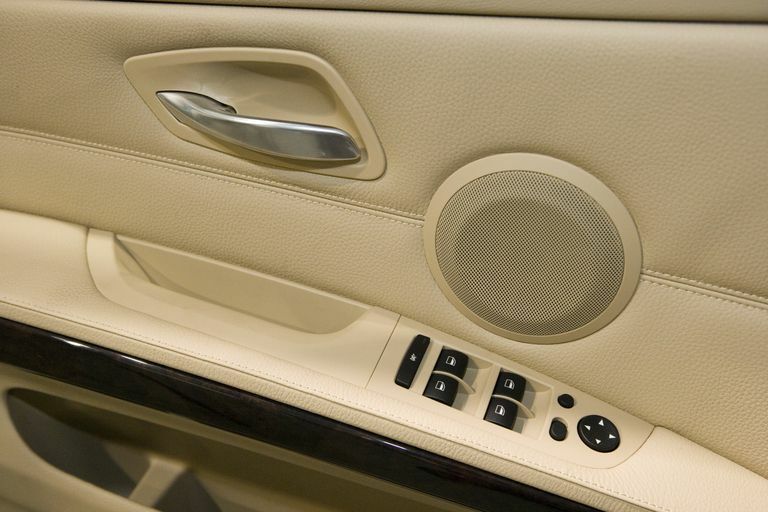 Car speakers tend to wear out, and even break, over time. This is especially true with the kind of lower quality original equipment (OE) speakers that most cars and trucks come equipped with. Internal components can wear out or come loose through regular use, and there's not a lot that can be done about it. That being said, car speakers tend to fail one at a time. Every speaker in a car audio system dying at once is very unlikely without some serious abuse, like cranking the volume high enough to blow the speakers out. When all of the speakers in a car audio system all stop working at once, the problem is usually in the head unit, in the amp, or in the wiring. In some cases, an issue with the wiring between the head unit and a single speaker can even cause all of the speakers in an entire car audio system to cut out at once. In order to narrow down the exact cause of this type of car audio problem, some basic troubleshooting is in order. Verify that the head unit hasn’t entered an anti-theft mode that requires a car radio code. Check the volume, fade and pan settings. Test different audio inputs (i.e. radio, CD player, auxiliary input, etc). Check for loose or unplugged wires. Verify that the amplifier is actually turning on. Inspect for loose or disconnected input or output speaker wires. Test both inline and onboard fuses. Although there are many common car amplifier problems that you can identify and fix on your own, you may run into a situation where the amp seems fine even though it has failed. In that case, you may need to simply bypass the amplifier to verify that both the head unit and speakers are working, at which point you can either get by with your head unit’s internal amp or install a new aftermarket amp. When you checked the fade and pan settings on your head unit, you may have discovered that they were set to a speaker or speakers that had failed, and that you were able to get sound by moving to a speaker or speakers that work. In that case, you’re looking at a problem with your car stereo wiring or a faulty speaker or speakers. Since speaker wires are often routed behind panels and molding, under seats, and beneath carpet, it can be difficult to visibly inspect them. Depending on your situation, it may be easier to check for continuity between one end of each wire (at the head unit or amp) and the other end at each speaker. If you don’t see continuity, that means the wire is broken somewhere. On the other hand, if you see continuity to ground, then you’re dealing with a shorted wire. If your speakers are mounted in doors, then a common point of failure is where the speaker wire passes between the door and the door frame. Although door wiring harnesses are typically protected by hard rubber sheathes, the wires can still end up breaking over time due to the repeated stresses endured in opening and closing the doors. With that in mind, you may also want to check for continuity and shorts with the doors both open and closes. If you find that one speaker is shorted to ground in that manner, that can actually cause all of the speakers to cut out. Another way to test the speakers, and to rule out bad wiring at the same time, is to obtain some speaker wire and to simply run new, temporary wires to each speaker. Since this is only temporary, you will have to gain access to the speakers by removing door panels, trim, and other components, but you won’t actually have to route the new wires properly. If the speakers work with the new wires, it’s a safe bet that your problem is with the old wiring, in which case routing new wires will fix the problem. You can also “test” car speakers by unplugging the wiring harness from the head unit or amp and touching the positive and negative wires of each speaker, in turn, to the positive and negative terminals of a 1.5V battery. If the speaker wires aren’t broken, and the speaker hasn’t totally failed, you will hear a slight pop when you touch the wires to the battery terminals. However, the fact that you can get a “pop” out of a speaker with a 1.5V battery doesn’t necessarily mean the speaker is in good working order. If you end up ruling everything else out, and you really are dealing with a coincidental failure, then it's time to just replace your car speakers en masse. However, you should probably make sure that they weren't blown out by someone cranking up the stereo. This may also be a good time to think about upgrading your car stereo as a whole, although selecting some good aftermarket speakers to replace the blown factory units can actually help a lot by itself. How Can You Tell If Car Speakers Are Blown Out? It's pretty easy to tell when car speakers blow out if you're there when it happens, because you'll immediately notice that they stop working or no longer sound normal. If it happens when you're not around, and the guilty party isn't willing to fess up, verifying blown speakers takes a little work. The surest way to test whether car speakers are blown out is to disconnect the speaker and check for continuity. If there isn't any continuity between the speaker terminals, that usually means it's blown.